The Wisconsin 4-H Key Award Program recognizes select 4-H participants who have demonstrated consistent growth in their 4-H involvement, developed and applied their leadership skills and actively participated in the functions of their 4-H club and community. It is the highest award given in the Wisconsin 4-H Program. The recipients receive a certificate and award sponsored by the Wisconsin Farm Bureau, Rural Insurance Companies, Farm Bureau Life Insurance, and GROWMARK, Inc. Below are listed the Green Lake County 4-H Key Award recipients. Calob Congdon is a 6-year member of the Sunrisers 4-H Club. He is currently a junior at Berlin High School. His projects in 4-H have consisted of clothing, photography, foods, flowers, home environment, house plants, demonstrations, jewelry, knitting, crocheting, quilting, mosaics and youth leadership. 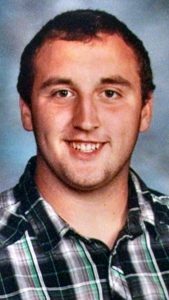 He is currently the president of the Green Lake County 4-H Ambassadors, where in the past he has also held the offices of secretary and treasurer. He has also served as a Youth Representative on the GLC 4-H Leaders’ Association Board of Directors. 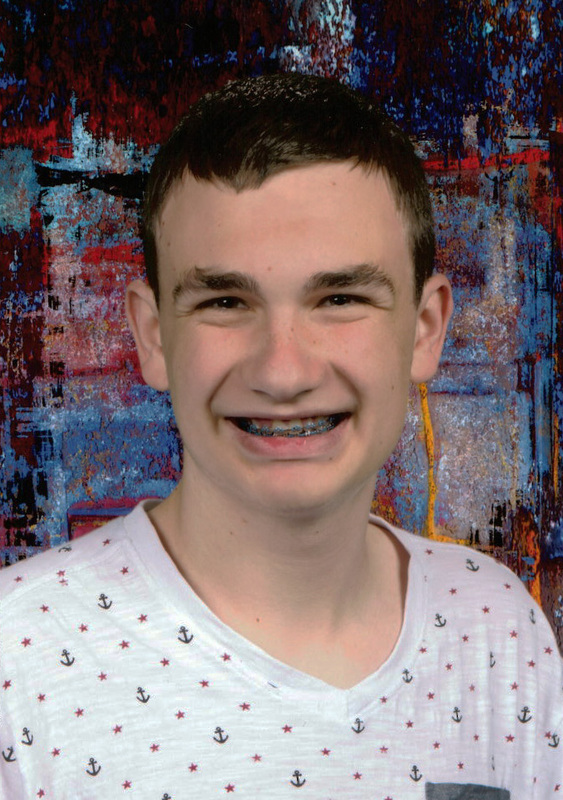 Calob had the wonderful opportunity to be a part of the Wisconsin 4-H Drama Company, where he was able to broaden his leadership and team networking skills. He has been involved in a number of community service projects such as the Angel Tree, Ice Cream Social, 4-H Lock-In, Recycling presentations and Super Saturday. “As we lose ourselves in the service of others, we discover our own lives and our own happiness.” Truer words could not have been spoken as they are the foundation of my 4-H career and the blessings 4-H has brought unto me throughout the past six years. How did it all begin? Let’s go back about six years ago and you’ll see how one amazing organization helped me both lose and find myself at the same time. My first meeting for the Sunrisers 4-H Club is a day that I will not soon forget. I was extremely nervous because I only knew two out of the almost 30 members in the room. Little did I know that those 28 other members would be joining me on amazing acts of community service throughout my first year in the club—such as, Angel Tree shopping, the Patriot Place ice cream social and roadside cleanup. These wonderful acts have been continuous throughout my 4-H career and have helped me form bonds with my fellow members that will never be broken. The culmination of everything I did in my 1st year was the 2012 Green Lake County Fair. I created projects in Cultural Arts, Clothing, and Foods with all of my projects receiving a blue ribbon. My parents were incredibly proud of me and inspired me to strive to do even better and create even more projects for the next fair. Throughout the next five years, I exhibited projects in Cultural Arts, Photography, Foods, Family Living, Knitting & Crocheting, Clothing, Youth Leadership, Clothing Revue, Political Science, Demonstrations and Home Environment. I have represented our county at State Fair Clothing Revue for five years, Demonstrations for two and have had exhibited in the Youth Expo hall for four years. To say the least, fair season for me is absolutely insane. But it always ends up being one of my favorite parts of being in 4-H.
What’s my other favorite part of 4-H? No contest there. It’s the wonderful opportunities available at both the county and state level that come with being in 4-H. At the county level, I have been a member of the 4-H Ambassadors for five years. I held the position of Treasurer for one year, secretary for four years, and am currently serving as president. This group has given me the chance to interact with younger members in our county and to show both new an experienced families how magical our program is. At the state level, I was fortunate to be a delegate at the Wisconsin 4-H and Youth Conference. In just one week, I learned so much about service learning throughout the state. Throughout my week at his conference, I grew close with the members of the 4-H State Teams. Particularly the Drama Company and the late Showcase Singers. The lessons I learned from members of both teams led me to becoming a member of the Drama Company in 2016. That was truly one experience I will never forget even as I currently campaign to become a member of the Wisconsin 4-H Leadership Council. These past six years have led me to this point. Standing in front of you all tonight with the incredible honor of receiving the Wisconsin 4-H Key Award. I am very grateful to the members of the interview team for selecting me and to both the Leaders’ Association and Farm Bureau for sponsoring the award. I will do my best to live up to the values of a recipient of this distinguished honor. I would also like to thank Gina Fleegal and Sandy Eagen for their continued support as my club leaders and their recommendations for this award. I wouldn’t be here tonight if it weren’t for your tremendous work. Lastly, I must thank my amazing parents, Jaime and John Congdon. You both have been very supportive throughout my 4-H career and have made so many of my dreams and aspirations possible to achieve. I can’t thank you enough for everything you do. I am beyond grateful for everything that being a member of Wisconsin 4-H has given me. It has become an integral part of my life and has given me leadership and service skills that I will use later in my life. I truly bleed green. While I am sad at only having two years left as a member of 4-H, I am blessed by the honors I continue to receive as an older youth member. Including the prestige of receiving the 2017 Wisconsin 4-H Key Award. Thank you all so much and serve on! The last six years we have watched Calob accomplish some of the biggest goals he has ever set for himself as an individual. As most of you know, Calob doesn’t do anything on a small scale. Calob thrives on putting his heart and soul into every exhibit, position held, training he attends and gives, and functions he is in charge of and a part of. Each year we have watching him obtain a new goal with extreme dedication and perseverance. 4-H has allowed Calob to grown not only as a person, but as a member of the community in a way no other club or organization could. The 4-H pledge speaks directly to Calob’s heart and they are words he lives by in every aspect of his life. We feel 4-H has given him invaluable life lessons that he will carry with him throughout his life. Calob has grown into an intelligent, responsible, dependable, creative, passionate and dynamic young man. 4-H has been instrumental in this growth. The friendships and memories made while in 4-H will forever be a part of Calob. Calob—your father and I are so proud of everything you have accomplished. We are so blessed to have an amazing young man to call our son. Please continue to push boundaries…continue to stand tall and be proud of who you are, what you are, what you believe in, what you’ve accomplished and where you look to accomplish in the future. It is with great pleasure we are here to witness you receiving this award. We love you! Kennedy Hoch is a 7-year member of the Manestream 4-H Club. She is currently a senior at Ripon High School, where she actively participates in the Equestrian Team and FFA. Her projects in 4-H have consisted of horse, archery, dog, photography, foods and youth leadership. She has held offices of president and vice president in her 4-H club and in the county Ambassadors, plus serving as a Youth Representative for the 4-H Horse Council and 4-H Archery project. Kennedy has also served on the Green Lake County Fair Promotions Committee as a past Jr. Fairest of the Fair. She has been involved in the Angel Tree and Trail Clean Up community service projects. I would like to begin by saying thank you to all of the supporters of Green Lake County 4-H and the 4-H Leaders’ Association for the continued support and recognition of outgoing 4-Hers to within Green Lake County. As I reminisce on my 4-H career and how I got to this spot, I realized that my 4-H story began in much of the same fashion as roughly 95% of every other young 4-Her. I got dropped off at my first 4-H meeting shaking in my boots with the intentions of showing my horse, Chuck, at the county fair. Never in a million years did 6th grade Kennedy see herself as you all see me today. I was shy, nervous and what I would like to call a hot mess. As I continued 4-H through middle school and then high school not only did I grow into the rider that I aspired to be but also a leader, role model, and an active member of the community. Representing Green Lake County at a local, state, and national level has been an absolute honor that I would not trade for anything. We joined the Green Lake County 4-H program 7 years ago because Kennedy had Chuck, her horse, and it was another way to be with him. The 4-H program was the start of many beginnings. Kennedy has learned many skills from being on the multiple committees and board of director positions. Her bright enthusiasm to start new things, meet new friends, and to just ‘get involved’ has led her to the many successful opportunities with the Green Lake County 4-H program. Her Citizenship Washington Focus trip to the State Capitol as a delegate is unforgettable. Kennedy is a role model to the upcoming members, the Cloverbuds. Thank you to the Green Lake County 4-H program for providing opportunities, supporting, making friendships, and providing encouragement for her foundation as she looks ahead to her college career. We are very proud of you, Kennedy! Cole Chapman is a 9-year member of the Prairie View Rockets 4-H Club. He is currently a junior at Markesan High School, where he actively participates in FFA and National Honor Society. His projects in 4-H have consisted of foods, photography, cake decorating, swine, and beef. He is also a youth representative for the livestock and leader’s boards and member of the Green Lake County 4-H Ambassadors. He has held the officer’s positions of Secretary, Vice President, and President. His passion has become his beef project which has led to a small privately owned business. He has also enjoyed being a camp counselor and being a role model for the youth in 4-H. He hopes to continue to help the youth in the community by getting them actively involved in 4-H and their community. My first 4-H activity was the Halloween party/meeting of the Prairie View rockets 4-H club. From that day on I have been in 4-H and have learned a lot. I started my 4-H career because of my father. He used to show cattle at the Columbia County Fair and I wanted to follow in his footsteps. Little did I know in 3rd grade that joining 4-H would change my life tremendously. My first year showing was definitely the hardest. My family and I had absolutely no idea what we were doing except for what my dad and grandpa remembered. Unfortunately, what they remembered was not much and was old information. I brought a Hereford steer from Rick “Winder” Grahn for $500. I named the steer Hokey after the steer on the movie “Grand Champion” which was my favorite movie at the time. I took last place that year at the Green Lake County Fair but I didn’t care. All I wanted to do was to show again the next year, and I did just that. In the years to follow I wanted to do more than just beef. I wanted to expand my horizons so I did. I decided that I would participate in the photography and swine projects too. My first two years started out strong in all of these projects and led me to how I am today. As I went on with my 4-H career, I joined more groups and made my presence known. The first group besides the Prairie View Rockets was the Green Lake County Ambassadors. Through the Ambassadors I have gotten to know several 4-H members and welcome new ones all the time. I have done numerous amounts of community events and will be teaching elementary schoolers at Markesan in the spring. The second group I joined was the leader’s council. I have been on the board for 4 years now as a youth representative. On this board I get to help make vital decisions for the fair to run smoothly. The last group that I joined in 2016 I was named a youth representative on the livestock council. This is the group that I have always wanted to be on because they handle all the animal stuff at the county fair. Even though this seems like a lot I always like to do the work and have fun. Thank you for picking me for the Key Award it is an honor to receive this award and to be acknowledged for all my hard work. Cole always tells me I have to keep things short, so that’s what I’m going to do. Cole has made us so proud to be his parents. He has had so many accomplishments and experiences in 4-H and has basically left no 4-H stone unturned. He continues to amaze us in his desires and strengths to carry on and try new things. We hope that you continue to strive to do new things not only in your final years of 4-H but in the years to come in school and your career. It’s truly and honor and a privilege to watch you receive this award this evening. Congratulations! 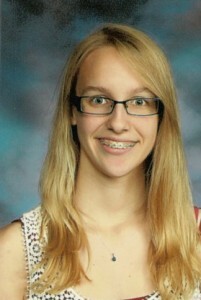 Briann Eagen is a 11-year member of the Sunrisers 4-H Club. She is currently attending Marian University in Fond du lac pursing a double major in nursing and psychology, she is planning on becoming a hospice nurse. Briann had been primarily in Cultural Arts, Photography, Rabbits, Woodworking, Youth Leadership, and Swine projects during her years of 4-H. While in 4-H she has held the roles of Secretary, Reporter and Club President, she held the Club President role for a total of eight years. She has also attended the Space Camp and American Spirt Trip. Among her primary 4-H club she also was a part of the Green Lake County Ambassadors where she was President for four years. Throughout the years Briann has been actively involved in representing Green Lake County. She also served as the 2015 Jr. Fairest of The Fair. She has also has been active in the community by participating in various community service projects. At the county level Briann has been active in being a camp counselor for three years, along with being a role model to younger kids. Briann is pushing to finish school so she can obtain a steady job and come back as a 4-H leader for her club. From coast to coast, to county fairs, to speaking in front of you all tonight, let me tell you where this all began. About ten years ago I attended my first 4-H meeting. I was the youngest one in the room and you can believe that I was shaking like a leaf. However, I would like to thank my mother, Sandy, for pushing me through the door and leaving me there alone, because this pushed me to be where I am today. The years to come, consisted of me getting to know more people but also getting roped into speaking in front of the county, and at this time I was so nervous but now I want to thank Nav for forcing me to speak in front of these people. Today I wouldn’t think twice about speaking in public. After this, I thought I was invincible. I just spoke in front of fifty plus people being in fourth grade and there was no stopping me now. The next few years brought upon many things, one of those being my first fair. My first year I raised a pig. His name was Bacon, a typical animal name for a kid, right? Another, was going to my first space camp trip. Space was not my thing, and this was my first time being away from home, so I was really nervous. To give you a recap of how this went, I cried, called my parents and they were going to come to Alabama to get me. Although I sucked it up and had the time of my life. This is where it comes to what 4-H has taught me. From the various projects I have done and from all of the trips, I have learned that 4-H is not about the ribbon, it is not about the winning – it’s about learning responsibility, leadership skills and meeting new people. People that will forever be in your life. People that you will consider your family, parents that you will soon consider to be your second parents and random strangers that you will call your life long best friends. After figuring this out, I had a different perspective on 4-H, and finally figured out what 4-H has done for me. It has given me the chance to go on trips that I would have never been able to go on otherwise. I got to attend the last American Spirt trip offered. It has shown me that I am a leader and not a follower and that I can make a difference anywhere, just by being myself. Whether I’m in a crown representing Green Lake County or just out and about, that I am a role model for the younger kids. With that being said, the past eleven years have been some of the best in my life, and I am so sad that it is over. None of this would have been possible without the help of my parents supporting me, Nav for forcing me to speak in front of all those people, and to Gina, thank you for writing all those recommendation letters because you have clearly been doing a great job! Also, thank you to all the others that have been there for me along the way. You know what they say though, all good things must come to an end, and I wouldn’t want my 4-H career to end any other way then being presented with this award. Briann has become such an amazing woman and I believe some of that came from being part of 4-H. She has shown leadership, compassion, and a desire to help others. I could not be more proud of her. She has always given 100% of herself to anything she has decided to try. This is serving her well while attending college. Our younger children in 4-H do look up to Briann, she has been a great role model for them. I can see Briann staying active in the 4-H community by becoming a leader for our club. Her compassion for everything she does will serve her well in the future. McKenna Newton is an 11 year member of the Prairie View Rockets 4-H Club. She is currently a junior at Markesan High School. McKenna has held the positions as President, Vice President, Secretary, and Report for her club. She has been involved in cultural arts, swine, goats, pigs, poultry, photography, foods, home environment and youth leadership. McKenna was crowned the 2015-2016 Junior Fairest of the Fair. She has been actively involved in her community, by participating in making christmas gift baskets for community business, making valentines cards for the residents at Markesan Resident Home, putting together a military basket to send to Italy. Also planting flowers at the Markesan Resident Home and participating and judging at the dress a critter contest at the fair. At the county level she has done foods revue and camp counselor for the 4-County summer camp. She also enjoys sharing her knowledge about her goats, swine and rabbits with others. McKenna has gained many leadership and organization skills through 4-H.
4-H has opened so many new doors for me. Which has made me who I am today. Starting 4-H I was one of the quiet kids that didn’t get involved unless my mom made me. I attended 4-H camp and called home the first night wanting to have my mom come and get me, but she said “no” . With the help of Emily (Schmuhl) Strahota as a chaperone she helped me through the camp and I had fun! I went back again and have now been a youth counselor for the past 2 years. At the county level I have participated in Foods Revue since I was a cloverbud. This helped me become organized. In my club I have held many officer positions which have given me the opportunity to gain leadership skills. At the county fair I have grown tremendously. Face to face judging has taught me a lot. The animal projects have caused me to grow and become responsible. You can’t just put in an hour or 2 and take your animals to the fair. At the fair I have learned to love to share my new found knowledge. I was also chosen as the 2015-16 Junior Fairest of the Fair. The interview process and impromptu speaking was challenging and fun. This was an amazing opportunity to promote 4-H. The people you meet in 4-H help guide and make strong young adults, Thank you! 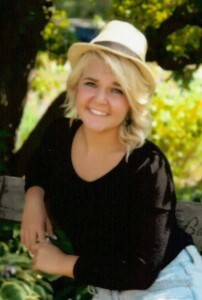 McKenna has grown into a responsible, social and intelligent young lady. As a young member she didn’t need a whole of encouragement to get involved, but a gentle nudge. McKenna is very friendly, which helps her get others involved and excited.She has become an excellent role model for the younger youth. This was extremely evident when she was in her reign as the Junior Fairest of the Fair. Her leadership skills at the club level continue to improve. At the fair it makes me proud to see her sharing and teaching others about her animal projects. McKenna has blossomed in 4-H. Thanks to all that helped bring her to where she is today. 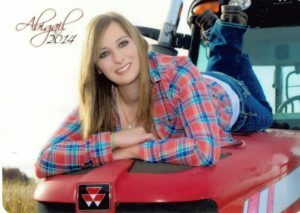 Samantha Becker is a 4-year member of the Roy Creek Ramblers 4-H Club. She is currently a junior at Markesan High School. Samantha has been involved primarily in Cultural Arts, Foods & Nutrition, Photography, Poultry and Youth Leadership projects in her 4-H years. She has served in the roles of Club Treasurer and Reporter. She is actively involved with her community, helping with the Clothing Drive by donating her old clothing, Make-A-Wish fundraiser by serving ice cream to the public to earn money for the Foundation, donating used cell phones for the abused, making Christmas ornaments for the elderly at the Markesan Resident Home, and raising money for the St. Jude’s Walk-a-Thon. At the county level Samantha has been an active 4-H Ambassador participating in many leadership roles that include Cloverbud Day, Super Saturday, Camp Counselor for the 4-County Summer Camp and also loves being able to be a leader in the poultry barn and the Green Lake County Fair. She has also been a participant every year in the Foods Revue and the Demonstration Day. Samantha’s main focus right now is to make it through high school at the top of her class and be able to maintain a role as a leader to younger children. When I think of 4-H I don’t think about the projects specifically involved. I think about the skills learned from those activities. When I think of skills, I think of accomplishments for my life. Two accomplishments I feel have had a major impact for me would be leadership and community service. I would not be where I am today without them. They have made me a well rounded person. To many people community service is a drag to do, but to me community service helped me understand how much people or even animals are in need of someone else’s sense of caring and kindness. To be able to see that I am making a difference in many others lives has made me see it as a rewarding, non selfish, and fun activity to do. Also leadership has guided me towards what I love and like to do. Being able to show adults I’m not just a fun loving teenager is important to me as well as being able to be a role model for the younger 4-H community. Through many organizations and roles in 4-H such as, being a camp counselor, club officer, project leader, showing at the fair, applying for awards, and running certain activities, has taught me I can be who I want to be. With 4-H, I am able to be a strong leader and a strong person. I plan on applying these skills that I have accomplished through the past four years of 4-H to my last two years in high school, as well as in college. I wouldn’t be where I am now without 4-H. I’d like to say thank you for this award, and it is a great honor to receive the Wisconsin 4-H Key Award. Brooke Navulis is an 11-year member of the Dalton Doers 4-H Club. 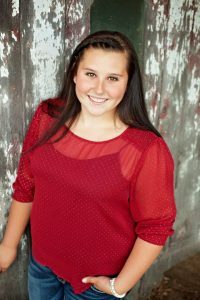 She is currently attending Marian University in Fond du Lac with plans to pursue a nursing career and ultimately become a Nurse Practitioner. Brooke has been involved primarily in Photography, Cultural Arts and Leadership Projects through 4-H. She has served in the roles of Club President, Vice President, Treasurer and Secretary. Brooke has attended Space Camp, Wisconsin 4-H Youth Conference, American Spirit Trip, Citizenship Washington Focus, and National 4-H Congress in Atlanta, Georgia. On the state level, Brooke was an Arts Camp participant for three years and after that experience went on to be a Camp Counselor for two more years. She has also participated in many leadership roles within the county that include Education in Action Stage at the Fair demonstrations, Cloverbud Day, and Super Saturday to name a few. 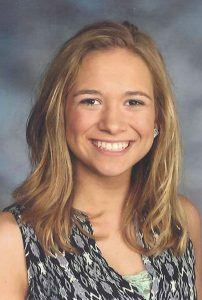 Outside of 4-H, Brooke was selected as Junior Fairest of the Fair for Green Lake County in 2011 and was active at Markesan High School in Student Council, National Honor Society, band, sports and Forensics. Brooke is very proud of her 4-H career and doesn’t hesitate to spread the word about this wonderful organization. The wonderful opportunities to participate in various community service activities is one 4-H accomplishment I am most proud of, and also understanding the concept behind participating in community service activities. Throughout my many years of 4-H, my understanding of why I do these community service activities has forever changed. I truly enjoy helping others, and I find it extremely rewarding and fun. Another accomplishment I am most proud of is the leadership skills that I have gained through 4-H. Applying and attending award trips, running community service projects, attending fair, being a club officer, and being a camp counselor are all contributing factors to achieving the leadership skills I possess today. I believe that if it was not for 4-H, I would have not developed these skills so strongly. In my future as a college student, and beyond, I plan to continue to apply the skills I have learned through 4-H to enhance my drive for success. As an individual, I truly believe that 4-H has increased my success rate, and I feel more confident than ever to continue on to my next step of life. I chose a few of my most proud 4-H accomplishments, but I could write pages upon pages about how much 4-H means to me and truly all the accomplishments I have made through such this incredible organization. 4-H has not only made me the best person I could be, but an even better one. I would like to say thank you for this award. It is a great honor to receive the Wisconsin 4-H Key Award. As parents, we could not be more proud of Brooke. Many of her accomplishments and successes have come from 4-H. I’m sure as Brooke moves on to this next phase of her life she will carry 4-H moments and memories along the way. As a Mom and co-Club Leader, I will miss sharing “4-H times” together. 4-H is family and I will also hold these special memories dear to my heart. Thank you to all that support Green Lake County 4-H. This is Abigail Swanke’s 13th year in the Fox River Patriots 4-H club. She has served as president, reporter, treasure, and currently is the vice president of her club. 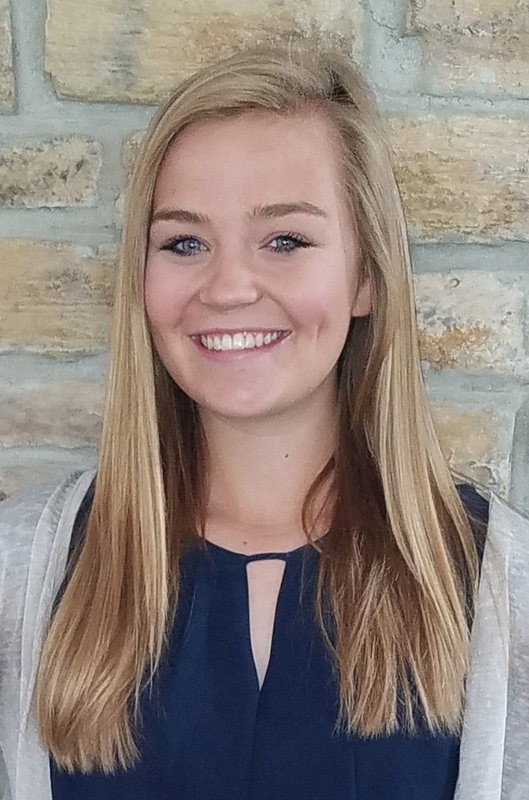 She is currently attending MATC to get her general education out of the way, then is transferring to UW-Madison to receive a bachelor’s degree in Dairy Science. Then she is going on to UW-Madison School of Veterinary Medicine to become a large animal veterinarian. Abigail has been involved in the rabbit, dairy, poultry, waterfowl, turkey, crops, plants, forage, vegetables, photography, woodworking, youth leadership, foods and nutrition, scrapbooking, drawings and paintings, jewelry making, pottery, and tie dying projects throughout these years. She has served as an Upham Woods 4-H camp counselor. Abigail has been a four year member of the 4-H ambassadors. She has served as the ambassador vice president. I would like to say I am greatly honored to receive the Wisconsin 4-H Key Award. 4-H has had a huge impact on my life. If it wasn’t for 4-H I would not be who I am today. It has taught me so many things throughout the years. The three biggest things it has taught me is responsibility, leadership, and how to get involved. 4-H has also opened doors of meeting new friends and help me face my fears of talking in front of people. My highlight of 4-H throughout the years would be the fair. The fair is where I have created the most friendships and the most memories. I would like to thank my parents for allowing me to take as many projects to the fair as I do. Even though my dad has never been happy with making 3 or 4 loads to the fair with the cattle trailer just to haul all the dairy cows, rabbits, ducks, chickens, and turkeys. I would also like to thank all of the leaders and superintendents for all their help and guidance over the years. I am going to greatly miss showing at the fair. I am very sad to say this is my last year as a 4-H member. But 4-H and being raised on a dairy farm has helped me decide what I want to do with my future and go to school to become a large animal veterinarian. Over the years I have gotten more and more involved and I never want to get out of 4-H. After I graduate from 4-H I am going to stay in 4-H by being a project leader or maybe even a superintendent someday. 4-H has been a great experience for Abbie! We signed Abbie up for 4-H when she was in 2nd grade. Not coming from a 4-H background, we really didn’t know what was all involved. Over the years, Abbie has learned many things, made many new friendships and has a lot of 4-H memories she will always cherish, especially the fair! Abbie loves and lives for the fair! She once told us she wished the fair was a full two weeks long and she could camp right out in the dairy barn with her cattle. Because of growing up on a dairy farm and being in 4-H, that has made Abbie who she is today! Her sincere passion for dairy cattle has given her the desire to become a large animal veterinarian. People say your best years are your high school years, we would have to say that Abbie’s best years are her 4-H years. We are very proud of her! Joining 4-H was the greatest experience we could have given any of our children.